Sterile Filter Housing - Chardon, Ohio-Chardon Metal Products Co. 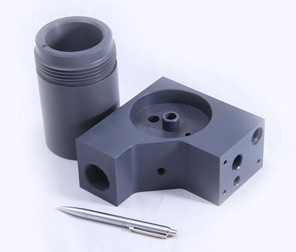 Although our name is Chardon Metal Products Co., we are very proficient at machining plastics and other non-metals. We manufactured the sterile PVC filter housing highlighted here for a company in the medical industry. In addition to plastics machining, this project involved designing and building custom pressure and leak testing fixtures. The specialized fixtures combined with several different pressure and leak test protocols were critical for ensuring product quality, safety, and performance. 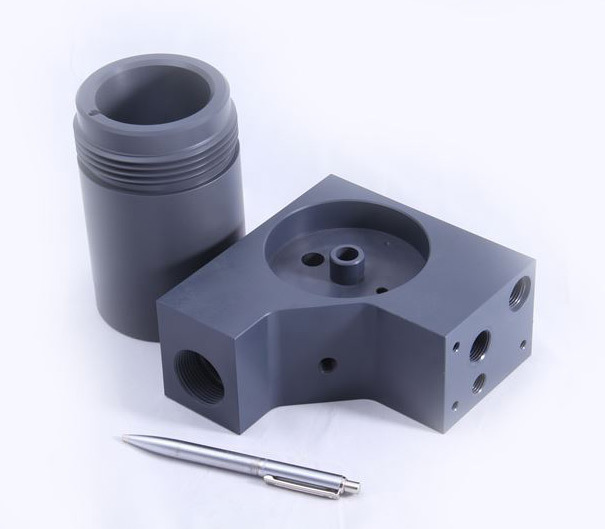 This machined assembly featured finished dimensions of 6.0" in length x 6.0" in width x 7.5" in height. To manufacture the assembly, primary operations consisted of CNC turning and milling of PVC plastic materials. PVC is durable and lightweight plastic, and since it is odorless and nontoxic, it is a good choice for sterile applications. Machining plastic can be challenging because of its softness relative to metals. Through smart tool choices and careful control of feed rates and cutting speeds, our technicians were able to uphold very close tolerances of ±.001". Once we completed the machining of all of the components and evaluated them for dimensional accuracy, our assembly technicians took charge and put the housing together in its final form. In the meantime, our quality team developed a custom test fixture for us to use in conjunction with our leak and pressure testing equipment. We carried out a series of tests to ensure the filter housing was free of any defects or flaws that could potentially affect the overall integrity of the product and lead to an in-field failure. From start to finish, we completed this project in eight weeks. At the peak of production we manufactured over 1200 unit per year. To learn more about this project or any of our manufacturing and test capabilities, contact us today. contact us Chardon Metal Products Co.